Act for Migrant Day + Reminders: Join the 'Tweet Storm'! Tomorrow, December 18, International Migrants' Day will be celebrated around the world. Recipes on the Move Sale Extended through Dec. 18! One more day! 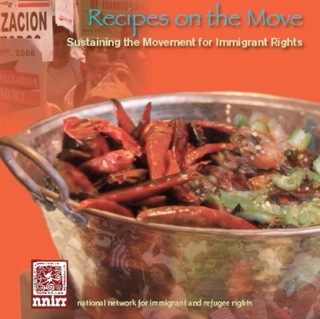 By popular demand, we are extending our fantastic sale of Recipes on the Move: Sustaining the Movement for Immigrant Rights. Thanks to all who have placed their orders and are already enjoying the amazing recipes in this unique collection of favorite recipes from immigrants from around the world. Click here for more information on ordering. Just $15/copy (including free shipping) through midnight, Dec. 18. Order now for holiday gift-giving -- or just for yourself! Thank you for your support - please remember NNIRR in your end-of-the-year giving!